Results of a new USDA pilot program underscore that students and parents alike prefer fresh above canned, frozen, and dried produce. The Fresh Fruit and Vegetable Program (FFVP) is one federal program that seems to be doing everything right. Each day, the FFVP brings a wide variety of fresh produce to low-income kids for their school snack, and it’s been proven to increase children’s acceptance of fruits and vegetables, encourage them to make healthier choices in the cafeteria, and even lower their BMI scores—all for a mere $50 to $75 per child per year. But the FFVP has been under constant threat by lobbyists for fruit and vegetable processors and canners who’ve tried to shoehorn their clients’ frozen, dried, and canned produce into the program. If they succeed, the FFVP could theoretically include far-from-fresh products like this brightly colored 100 percent fruit ice—or even items in which fruits and vegetables are only one component, like fruit yogurt or trail mix. If the “fresh” is taken out of the FFVP, would it make a meaningful difference to students? The U.S. Department of Agriculture (USDA) has just released the results of pilot program trying to answer that question. The USDA opened the pilot to any states interested in including canned, frozen, and dried produce in the FFVP, but only four states—Alaska, Delaware, Kansas, and Maine—opted to join. Even within these states, the idea of shifting away from fresh produce seemed to have little appeal: Just 58 schools from across all four states chose to participate, and the majority of those schools were small, rural schools located in Alaska, where procuring fresh produce can be a challenge. The non-fresh produce the schools typically offered during the pilot were dried cranberries, raisins, and trail mix, along with canned mandarin oranges and applesauce. Less than 1 percent included frozen fruits or canned vegetables and no schools offered frozen or dried vegetables. Comparing data from the fall of 2014 (when only fresh produce was offered) to the spring of 2015 (when canned, dried, and frozen products were allowed), the USDA found that the pilot led to a significant decrease in students’ produce consumption. It also found that the total amount of fruits and vegetables eaten during the pilot fell by a quarter-cup, from 1.72 cups per student in 2014 to 1.46 in 2015. In addition, fresh fruit consumption fell by 30 percent in the same time. Calories in school snacks increased an average of 20 calories per day due to the higher sugar content of dried and canned fruit. The shift even affected the produce served during the rest of the school day, with participating schools serving more canned and less fresh fruit at both breakfast and lunch. Students said they preferred fresh fruits and vegetable over the non-fresh produce. Specifically, they said they preferred raw vegetables to cooked, fresh oranges over canned mandarins, fresh pears over canned pears, and fresh apples over applesauce or dried apples. They liked all the non-fresh fruits the least. And two-thirds of the parents at these schools said they wanted the FFVP to continue to serve only fresh produce. 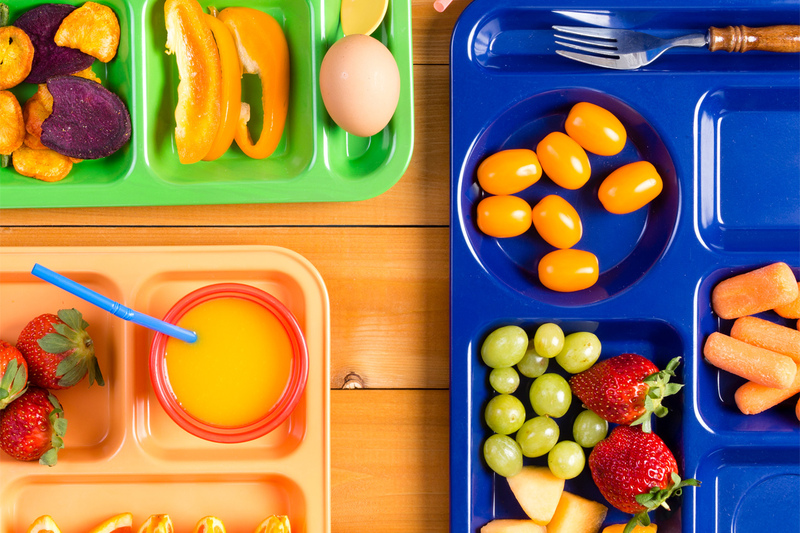 Despite those findings, school food service directors and principals at pilot schools said they felt the inclusion of non-fresh forms of produce had improved snack variety, quality, and quantity. But, tellingly, even among the 58 schools in the program, on an average school week, 41 percent continued to offer only fresh fruits and vegetables, indicating there may be little interest overall in changing the status quo. Most observers believe the CNR won’t be taken up again by Congress any time soon, but the FFVP remains under threat. That’s because the program “lives” under two different pieces of legislation—the CNR, which authorizes it, and the Farm Bill, which actually pays for it. Given that the processed produce industry has been jealously eyeing the FFVP for over a decade, a reappearance of the “all forms” language in the upcoming Farm Bill negotiations seems all but assured. A version of this post originally appeared on The Lunch Tray blog. I am a middle school counselor in a rural low income community with food insecurity issues. We offer fresh, canned, and dried cranberries on the salad bar for lunch. This article provided great data that proves fresh produce is best for the overall well being of the students. Thank you! Yes! Bring FRESH fruits & veggies to all children & teens! Great project!